Are there alternative remedies to opioids and over the counter painkillers for headaches and migraines? In this guide, we discuss different types of headaches, their symptoms and causes, and how CBD combined with essential oils can be used in different ways for headache relief. Headaches are annoying. There is almost never a convenient time or place to get one, and getting through everyday activities like work, commuting, or even social interactions with head pain can be unbearable. Whether you suffer from chronic headaches or only experience them once in a while, it’s always good to have a go-to remedy to chase the pain away. Follow this guide to help you accurately diagnose, treat, and manage your headaches with CBD and essential oils. If you are an occasional headache sufferer, you may not be aware many different types of headaches come with very different symptoms and levels of severity. Some of these headaches are nothing but short painful episodes while others can be chronic, dangerous, and even life-threatening. Before you begin to use remedies for a headache, it’s important to know what type of condition you are treating. Often, headaches are easily self-diagnosed, however it’s always a good idea to get an opinion from your trusted healthcare professional if you are unsure. Is it a dull, aching pain (not pulsing or throbbing)? Is the pain on both sides of your head? Is the pain in both temples? Is the pain on the back of your head and neck? Do you feel a tightness around your forehead? Do light and noise make the symptoms worse? Are your balance and strength normal? Are you able to perform your normal tasks, even with the discomfort? Are you currently under excess stress? Is your caloric intake insufficient? Are you anemic (have low iron levels)? 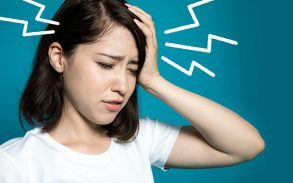 If you answered yes to most of these questions, you are probably experiencing a tension headache. Tension headaches afflict 80% of adults, and are more common in women. This type of headache can become a chronic condition, and the symptoms can become worse over time. Does the pain cause an excruciating pulsing, burning, or piercing sensation? Is the pain behind or around one eye, or on one side of the face? Does it often wake you in the middle of the night? Do you feel the need to pace, rock back and forth, or move in any other way? Do they make you feel generally restless? Do the headaches happen 3 or more times per day? Do they happen around the same time each day? Do one of your eyelids droop? Does the pain keep you from following your normal routine? If you answered yes to many of these questions, you are probably suffering from cluster headaches. Cluster headaches happen in a period of time called “cluster periods,” where an individual will experience 3 or more of these headaches per day for anywhere from two weeks to three months, sometimes even longer. Once they subside, they are usually pain-free for two weeks or longer. Cluster headaches are the least common type, and men are more susceptible to them than women. Is the pain severe throbbing or pulsing? Is the pain on one or both sides of your head? Does the pain make your neck stiff? Do you have pain behind your eyes? Are you sensitive to light and sound? Does the pain come with nausea and/or vomiting? Does the pain keep you from performing your daily tasks? Do you experience mood changes, depression, or anxiety? Does the pain make you feel lightheaded or cause fainting? If you answered yes to most of these, you are likely experiencing migraine headaches. Migraine headaches are relatively common, and can be triggered by many factors: stress, light and sound, foods or preservatives, medications, family history, and hormones, to name just a few. Many chronic migraine sufferers learn to identify their migraine triggers, which helps them manage their symptoms. In children, boys are more vulnerable to migraines, however, after adolescence, the roles reverse: up to 75% of adult migraine sufferers are women. It’s important to take every factor into account when attempting to diagnose a headache. Many times, headaches can be remedied by drinking electrolytes, taking a nap, or going for a slow walk. But when you need more help and pharmaceuticals aren’t an option, CBD could be your answer. If you’re reading this guide, you probably already know a little bit about CBD. Understanding what it is and how it works is essential when using it to treat headaches. Cannabidiol – or, CBD – is a compound extracted from marijuana or hemp plants. No matter how you use it – smoke it, vape it, slather yourself in CBD oil, or eat it in a brownie – it won’t get you high. But just because you can’t feel any significant effects from CBD doesn’t mean it’s not working. What this means: cannabinoids (like CBD) could be used to make up for Endocannabinoid System dysfunction in the treatment of migraines, tension headaches, and cluster headaches. Edible CBD comes in a variety of forms: candies, capsules, beverages, baked goods, even chewing gum. This type of CBD is effective when treating headaches that have to be managed around the clock, like cluster headaches, chronic migraines, or chronic tension headaches. Edibles can take an hour or two to begin working because they have to go through your digestive system first, but the effects can last between four and six hours. Remember, unless you have a lot of patience, this is not an ideal method for taking the edge off of an already existing headache, as it is the slowest way to administer CBD. Typically found in dropper or spray form, sublingual CBD is ideal for kicking an already-surfacing headache or migraine to the curb because it is one of the fastest ways to get CBD into your system. If you don’t believe it, check out videos of seizures being stopped almost instantly in children simply by dropping cannabis oil straight onto their gums, the sides of their cheeks, or under their tongue. How does this work? These areas are covered in hundreds of tiny capillaries (blood vessels) waiting to deliver whatever they are given (in this case, CBD) straight into the bloodstream. The effects from this method usually last about 4-6 hours. Raw CBD oil doesn’t taste great, so most products are going to be flavored some way or another, so find whatever works best for you and your taste buds. When it comes to headaches and CBD, one method rules them all: vaping. Undeniably the quickest way to get CBD working in your system, a puff or two off of a CBD vape oil pen can have you feeling better in a matter of minutes, which makes this the most preferred method for immediate relief from any type of headache or migraine. The smoke from pure CBD vape oil won’t taste like marijuana, although it will definitely have an earthy, woodsy, and sometimes even nutty flavor. Don’t think you can handle it? Flavored CBD oil can be found on the market, and it’s a good way to cut the natural earthy taste of CBD. Effects from vaping can last between 4-6 hours. There are dozens of different topical CBD treatments. 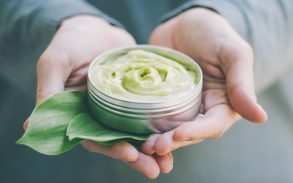 Companies now offer CBD creams, lotions, bath bombs, bath salts, massage oils, and that’s just scratching the surface. Our skin is our biggest organ, and it soaks up just about anything we expose it to: UV rays, chemicals, perfumes, you name it. Because our skin also plays a role in the ECS, cannabinoids like CBD can work when applied topically as well. This method can take some time to take effect (up to an hour) which makes it an excellent addition to a sublingual or vaped treatment for a headache or migraine that is already occurring. Topical CBDs effects can last five to six hours, so once you have administered a sublingual or taken a couple hits off a vape pen, it’s a good idea to either set yourself up in a warm CBD infused bath or to rub a topical CBD cream on the areas of pain to get localized relief. For now, vape pens and sublinguals are the quickest, most effective way to combat a headache or migraine. You can use them at the beginning of an attack to take the edge off right away, and their painkilling and muscle relaxing effects can last up to 6 hours. Edibles and topicals are a great addition to your vape or sublingual for round-the-clock management or on those days you need an extra bit of relief. Essential oils used in aromatherapy are made by extracting the aromatic compounds (called terpenes) from various parts of plants, fruits, herbs, spices, and seeds. These compounds are responsible for much more than just making a lemon smell like citrus or a forest smell like pine: each terpene has a different effect on the body and mind, anywhere from giving you a boost of energy to suppressing nausea to instilling peace and calm. Marijuana is a plant that also contains terpenes, which is why one strain can taste and smell so different from another. The terpenes found in marijuana are the same terpenes that we get in many of the foods, herbs, and spices we eat. 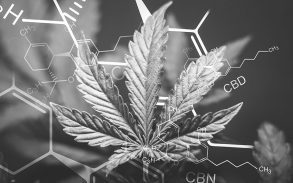 In the past, focus in the marijuana industry has been primarily on cannabinoids and their medicinal uses, but terpenes have recently stepped into the limelight and changed the market completely – for the better. Researchers believe that using the plant as a whole (whole plant therapy) is more effective than isolating cannabinoids from other beneficial properties of the plant. 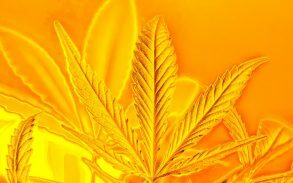 They have found that cannabinoids are actually more effective when used in conjunction with terpenes and other cannabinoids. Whole plant therapy can be as simple as lighting up a marijuana bud to vaping cannabis oil to even juicing the marijuana plant as a dietary supplement. Aromatherapy is more than dropping oils into a diffuser for better smelling air. Aromatherapy is using the therapeutic properties of high quality essential oils for physical or psychological well-being. You can manage chronic headaches or migraines by using essential oils in a diffuser daily while you work, or nightly while you sleep. Lavender: Lavender is one of the most popular and effective essential oils for pain. Lavender can help balance hormones, kill pain, ease stress, promote relaxation, calm nerves, and is ideal for taking the edge off of all types of headaches. Put 5 drops of lavender into your diffuser with water and take 20-30 minutes to rest, breathe deep, and let the essential oil work its magic. Rosemary: A study printed in Psychiatry Research showed that inhaling rosemary for just five minutes significantly decreases cortisol, a hormone that expresses during times of stress. Too much of this hormone can lead to illness, disease, and other undesired symptoms like – you guessed it – headaches. A powerful tool for relieving stress and balancing hormones, rosemary is great for tension headaches or any headache you feel may be associated with stress or hormones. If you feel a migraine or headache coming on, pour a few drops of lavender and a few drops of rosemary into a warm bath, lower the lights (or light a candle), and relax. Even better: use CBD bath salts with your essential oils for total body healing and relaxation. If you have someone around who will rub you down with essential oils to help take the edge off of your headache, consider yourself lucky. If not, don’t sweat it: you can massage essential oils into specific trigger areas for headaches and migraines. On the feet: Mix a few drops of lavender with your favorite natural massage oil or a topical CBD oil and use that to rub the tops and bottoms of your feet, focusing on the big toe. On the head: Peppermint contains menthol which is an awesome muscle relaxer and pain killer. It’s calming and mildly numbing, making it great for topical use. It is, however, extremely potent and has the potential to burn your skin, so don’t apply it directly: mix a drop or two in your choice of carrier oil (like coconut, almond, or a CBD cream) then massage it onto your forehead, temple, and scalp for relief from migraines and any other headache. Inhaling peppermint also relieves sinus pressure, so it’s a great option for sinus headaches as well. On the temples and neck: Rosemary is a natural stress reliever, pain killer, and helps increase blood circulation: all the things you want for a tension headache. Mix a few drops with CBD cream or lotion and massage it onto the base of your skull, neck, and tops of your shoulders. Lavender Oil inhalation is deemed as an good and safe way in dealing with migraines. Because of lavenders calming effects, this is a good essential oil to turn to for headaches or migraines due to stress, poor sleeping patterns, and hormones. Great for nighttime use or when you have time to relax. Peppermint Oil is going to be energizing, so if you wake up with a headache, this could be your new go-to. Peppermint is an awesome natural pain reliever and can also help suppress nausea, which makes it great for all types of headaches, but particularly the ones that come with nausea or vomiting, like migraines. Sweet Orange Oil is an anti-inflammatory, anti-depressant, and a sedative essential oil. It’s also known for being a mood booster, and who doesn’t need that when in the midst of a migraine? Mix it with a drop of Cinnamon Oil – a powerful essential oil for promoting blood flow – for delicious headache relief. First, make sure you are using a vaporizer that is designed to work with essential oils. Most vape pens are made to work with concentrates and oils. Adding essential oils should be perfectly fine, however check before you try. Always purchase quality essential oils. 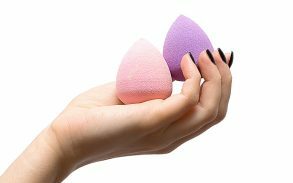 Cheaper versions may contain fillers or impurities that dilute the therapeutic properties of the essential oil. Even worse, they can cause harm if inhaled or swallowed. Start slow and start small: essential oils are potent. Though they are considered safe, they should be used responsibly and treated just like any other medicine or herb. Only add a little to your vape at a time and take small hits until you know what you can tolerate. Essential oils are so powerful that even the aroma of one can be dangerous for animals. Even something like tea tree oil in a diffuser can make your dog start acting wonky, so make sure you read into any essential oil you may be unfamiliar with. Do not take essential oils orally if pregnant or breastfeeding. Additionally, some oils should be avoided altogether if pregnant or breastfeeding. Although essential oils are believed to be safe for inhalation, more studies are needed to know the full effects of long-term or chronic use. As a rule of thumb, it is recommended to only vape essential oils therapeutically, not constantly for recreation. If you feel your symptoms are getting worse with CBD or essential oils, stop use immediately. Suffering occasional headaches? Reach for CBD and essential oils over pharmaceuticals and pain killers. If you do suffer from debilitating migraines, cluster headaches, or any type of chronic headache, talk to your doctor about finding real relief with a regimen using CBD products.